This is a guest post by Millionaire Mob, a blog focused on investing in dividend growth stocks and travel hacking. We have helped thousands of people with bettering their financial future through passive income and dividend investing. Two goals that I’d love to achieve in life: travel the world and be financially secure. The best news of our generation is that you can have both (if you have a plan). Through discipline and a specific plan, you can build a portfolio of travel rewards points and assets to secure wealth AND travel the world. At Millionaire Mob, we are focused on finding ways to explore the world and enjoy life without losing focusing on our ultimate goal, financial freedom. Why does a million rewards points matter? I like to think about my rewards points or miles as an investment portfolio. Through credit card churning and credit card manufactured spending, I am able to build up a massive portfolio of rewards points. With my portfolio of rewards from major airlines and hotels, I am able to travel the world for little to no cost at all. You can obtain rewards points through traveling with those select airlines if you’d prefer to not go with the credit card churning and manufactured spending route. - Freelancing as a second source of income, which has helped increase our income by nearly 90%! By using these three simple passive income streams, we are able to take the proceeds and reinvest them into our financial future. We like to use our dividend growth portfolio to do so. This is a great way to expand your wealth. 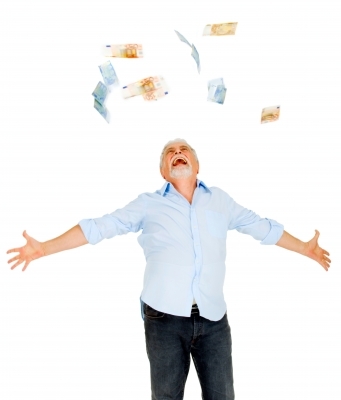 Why a Million Rewards Points and A Million Net Worth Equals the New Financial Freedom? The goal for everyone in personal finance should be financial freedom, which is the ability to rely solely on your different sources of income to fund your lifestyle. By having a million rewards points, you are able to free up so much additional cash flow while you endeavour your journey across the world. Travel should be in everyone’s plans for the future. There is so much to see in this world. You cannot miss it. By having the ability to travel for little to no cost, you enable yourself to save and invest more without the need to withdraw capital. People need to start thinking about rewards points as assets rather than just a bonus to their ordinary life. Through rewards points accumulation, you can travel the world AND save money. Focus on building your wealth and rewards points over the next five years. You will be on the road to happiness. 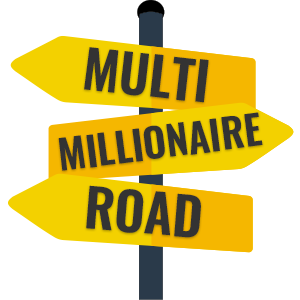 Author Bio: Millionaire Mob is a blog focused on everything online income including: Travel Photography, Travel Rewards, Passive Income, Dividend Growth Investing and Personal Finance advice. I hope to provide the best advice to help you learn and grow along the way. Join the mob of financial freedom experts and… Escalate Your Life.